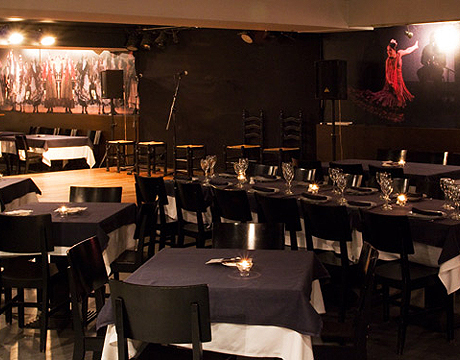 Situated in the heart of the center of Madrid, very close to the Plaza Mayor and the San Miguel Market, the Tablao Las Carboneras was created in the style of the old establishments known as café cantantes: intimate venues dedicated to quality flamenco to be enjoyed by locals and visitors alike. 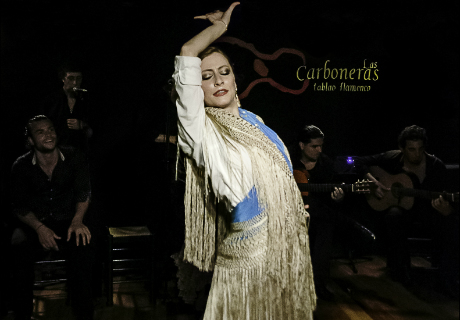 To create the perfect flamenco atmosphere the venue is dedicated to showing photography, paintings, sketches and others artwork from well known national and international flamenco artists such as Candy Román, Ari Alexis Patacuás, Juan Herrera and Shin Yamasawa. 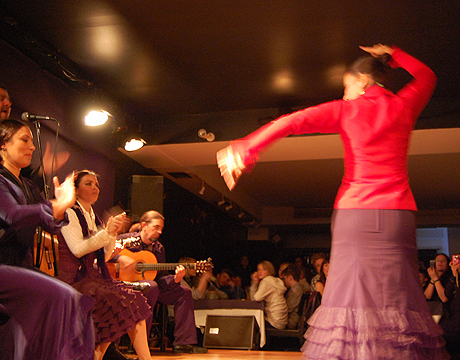 Special events such as lectures on flamenco music, dance and singing are also arranged for (by special request). 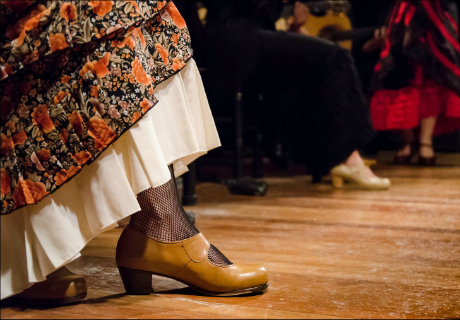 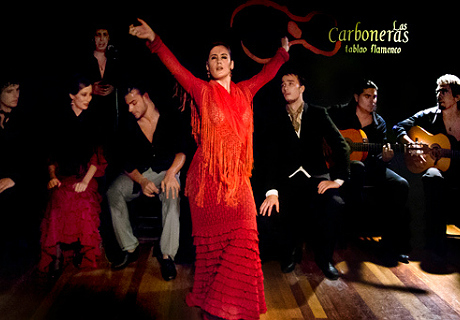 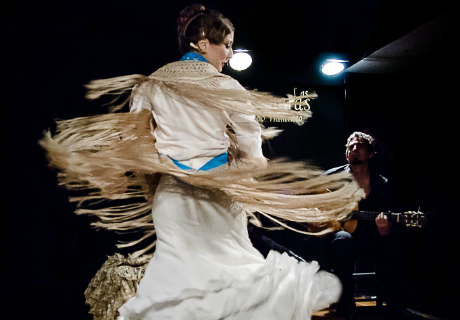 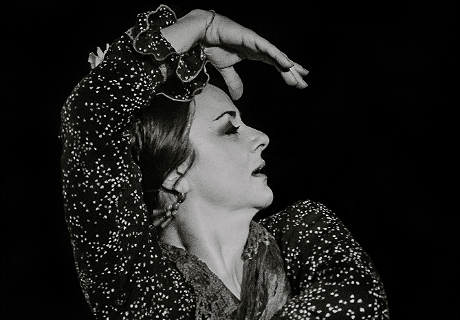 Tablao Las Carboneras hosts nightly flamenco shows from Monday through Sunday. 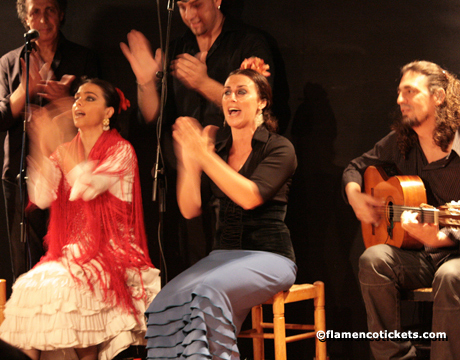 From Sunday to Thursday the flamenco shows start at 20:30 (Dinner: 19:30) and 22:30 (Dinner: 22:00). 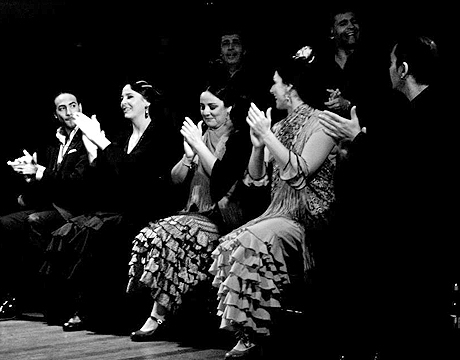 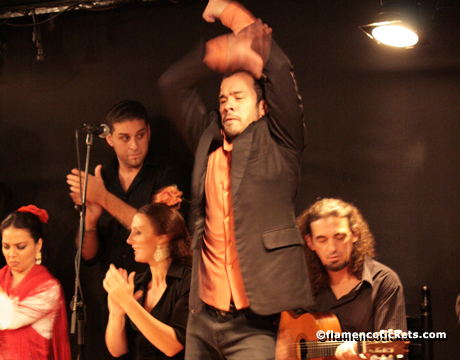 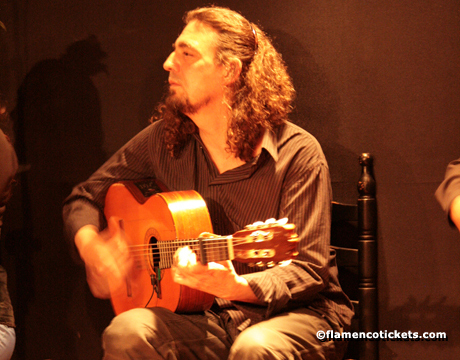 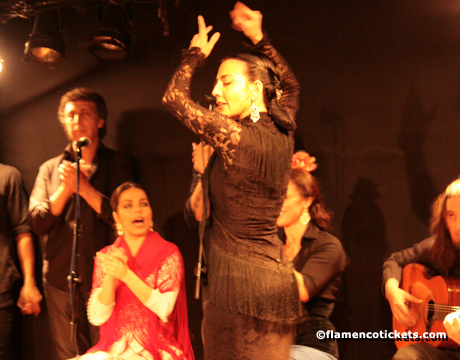 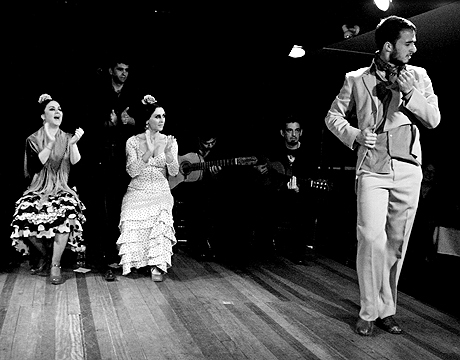 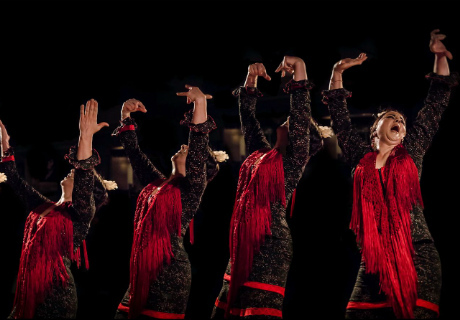 On Friday and Saturday the flamenco shows start at 20:30 (Dinner: 19:30) and 23:00 (Dinner: 22:00). 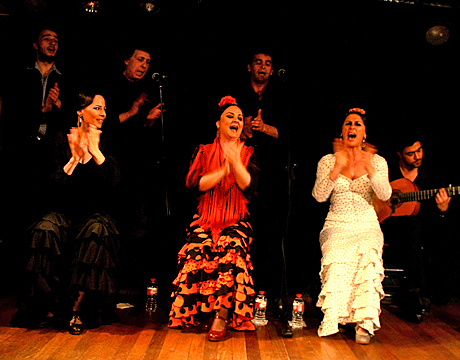 The perfromances are of approximately one hour’s length and include eight regular artists - two guitarists, two singers and two dancers - as well as a featured artist which changes every fifteen days. 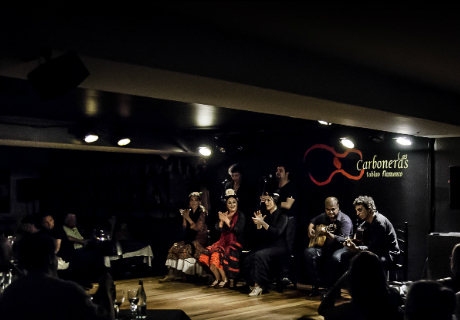 Some of the performers who have been featured include Ángel Gabarre, Montse Cortés, los Hermanos Trenviño, Juan Soto, Arcadio Marín, José Antonio Suárez "El Canito", Ana Romero, Oscar Tellez and more. 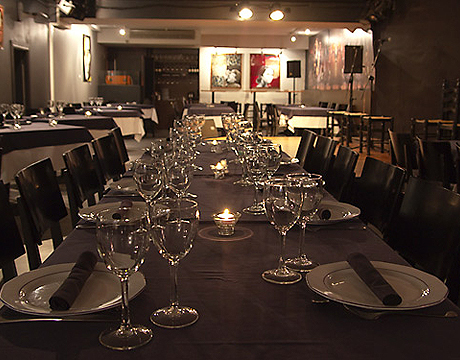 A wide range of menu options are available in the full service restaurant. 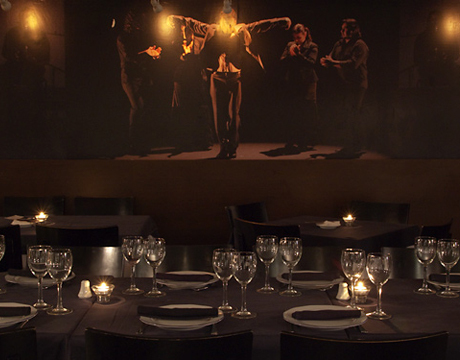 They include multiple course dinners, focusing on traditional Spanish dishes with touches of new, creative and innovative cuisine.